#067 – S.O.S. - Help Me Help You! How you can help ‘i’ and Higher Ideas Podcast! 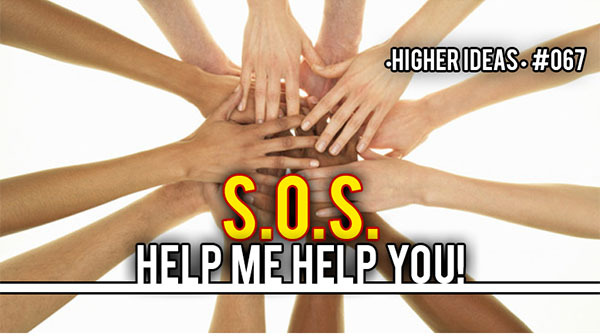 • Higher Ideas • #067 – S.O.S. – Help Me Help You! Sending out an S.O.S. ‘ i ‘ and the podcast are struggling. It’s time to put pride aside and ask you lovely listeners for support. Muchas Gracias!